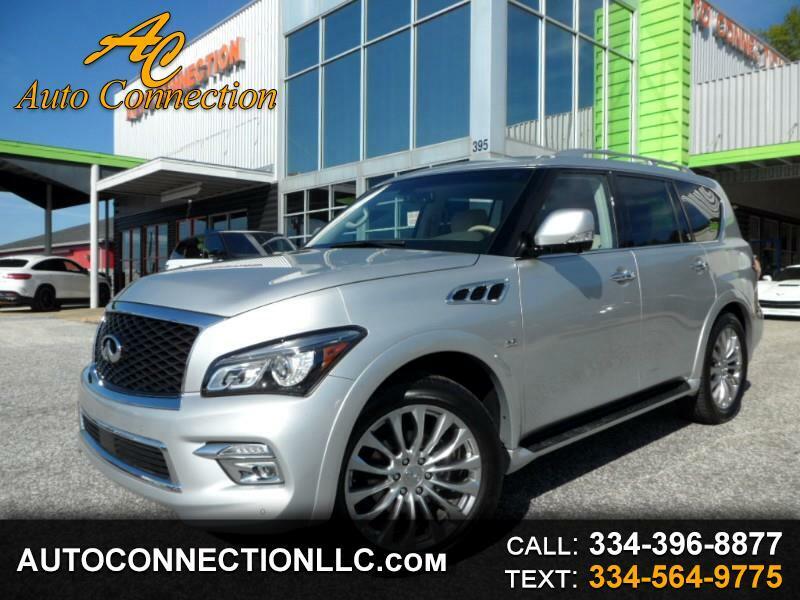 2016 Infiniti QX80! Original MSRP of $76,085! Liquid Platinum over Wheat Leather, Equipped with a 5.6L V8 engine producing 400 HP and paired with a 7 speed automatic transmission with adaptive shift control and 8500 lb tow rating!, Navigation, Rear camera with 360 priority view, Bose premium sound, CD, XM radio, Bluetooth with streaming audio, Heated front seats, Heated steering wheel, Heated second row seats, Power sunroof, Blind spot warning, Lane departure prevention, Backup collision warning, Adaptive cruise control, Predictive Forward Collision Warning and Emergency Braking, Intelligent Cruise Control, Blind Spot Warning, Distance Control Assist, and a steering wheel-mounted switch for Safety Shield Technologies, Power folding third row seats, Power rear hatch, HID Xenon headlights, Keyless entry, Pushbutton start and Remote start! Packages including Drivers assist package ($2,500), Theater package ($2,400) and Tire and wheel package ($2,800). Carfax certified! One owner! Non smokers SUV! Factory warranty! Excellent condition!